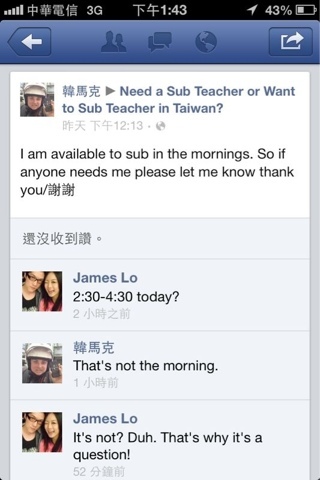 I made a post on a Facebook group about subbing for anyone in the morning and the reply is just completely and utterly stupid! I made it pretty clear I was only looking for morning work. I will let you all decide, check it out. Not that daft, why were you looking for morning work? I think it is as I stated when I wanted to work. Why does everyone look for work? Mainly money i'd say. A good start to the season and glasses gate!